At the age of 23, Dan Pepper is preparing for the most important swimming trials of his life. A place at the Paralympics is up for grabs. Both Paralympic and Olympic hopefuls will head to the Aquatic Centre in London's Olympic Park for the British trials from Saturday, knowing it is make-or-break time. "I'd be lying if I said I didn't think about it 24/7," he says before a training session in Manchester. "It's just the ultimate dream." It's a dream which had threatened never to become reality. 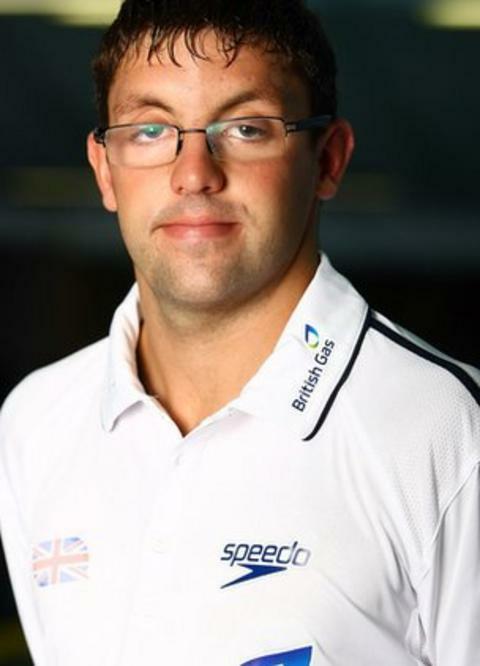 Pepper is a four-time European and double world champion in the 100m breaststroke and 200m freestyle, but as an athlete with a learning disability - or intellectual disability (ID) as it's known internationally - he is also a victim of the Paralympics' most infamous scandal. At the Sydney Games in 2000, the Spanish team won gold in basketball's ID class. At a Games with so many positive stories, it seemed just another cause for celebration - until one of sport's most jaw-dropping revelations. After the victorious team returned to Spain, one member - Carlos Ribagorda - revealed he was an undercover journalist. He didn't have any learning disability at all. What's more, neither did most of his team-mates. An investigation concluded 10 of the 12 members had no disability. Some players had undergone few, if any, tests to prove they were eligible. Medals were handed back, resignations handed in, and the Paralympic movement plunged in to controversy. Pepper was just 11 at the time but was already proving his talent. Three years later he qualified for the Athens Paralympics, but he never got to appear in them. The authorities, fearful of a repeat of the basketball controversy, scrapped all events for ID athletes. "It was an upsetting moment and I ended up not swimming for a couple of years. My coach got me back in the pool, swimming just for the enjoyment of it, and from there I ended up winning European and world titles." In 2009, the Paralympic authorities voted to bring back ID events for the London Paralympics in three sports - swimming, athletics and table tennis. More stringent eligibility tests were drawn up, including "sport-specific" tests to prove that the athlete's learning disability affects their sporting performance. Pepper is open about how his disability affects him. "I struggle to read and write, to count lengths - basically remembering what I'm doing. It affects me throughout the race, but luckily I have a coach that understands me." The Paralympic Movement identifies intellectual impairment as "a disability characterized by significant limitation both in intellectual functioning and in adaptive behavior as expressed in conceptual, social and practical adaptive skills. This disability originates before the age of 18". That coach, Mick Massey, has now guided Dan for 12 years. "You do have to allow a lot of time for anything that's new," he says. "As a coach, you've got to take the model you want, break it down into small components and then gradually rebuild it." Repetition is the key. "Once they've got it, some of their skills in the pool are second to none." Massey coaches his own daughter, Natalie, who is also on the British ID swimming team. He says the commitment shown by the likes of Natalie and Dan - especially during the Paralympic ban - is astounding. "They were 17, 18, 19 years old. They could have been going out with their mates at the weekend. There was only a tiny glimmer of hope, and yet they focused on it and carried on training because of their love of the sport." Ranked in the world's top four in both of his events, Pepper should qualify for London, but pressure can do strange things. "You never know what's going to happen," he says. "You could slip off the blocks." But - assuming he can keep his footing - eight years after first qualifying for a Paralympics, he might finally get his chance.